I provide all information on this page on a liability-free basis. Please use it at your own risk, and verify anything critical to your boating safety with other authoritative sources. I advise all boaters to become familiar with the official collision regulations for their area, at a minimum. Collision avoidance is not my area of expertise, and I offer this analysis of the topic only as personal opinion and on an amateur basis. I hope you find it useful. I always welcome suggestions. Boaters often ask questions about "right of way" on the water. I find it useful to abandon that concept completely. More studious boaters than myself claim to have scoured the official regulations and uncovered very few instances of the more road-based "right of way" terminology, and even then only for very specific situations. 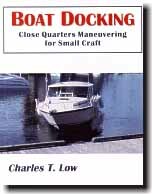 I have also read, largely in Internet boating discussion forums, that legal judgements on collisions rarely side entirely with one boat or the other - they usually apportion blame in some fashion among the parties involved, indicating that only rarely does one solitary boat possess what we might otherwise call "right of way." A police officer I know states that when investigating marine collisions, they virtually always lay two charges, the "stand-on" boater receiving a minimum of "failing to keep an adequate lookout." privilege comes with responsibilities. I think you will be surprised at how many. Some of the confusion stems from the simple concept, learned by many boaters very early in their nautical education, of a boat's "danger zone," referring to the area from dead ahead to 112.5 degrees abaft the starboard bow. All other things being equal, you must give way to other boats in that zone. However, all other things are not equal, and knowing about your danger zone only barely starts your understanding about collision avoidance. Here, I propose to quote from and comment on excerpts from the Collision Regulations concerning some of the responsibilities of the stand-on boater (not even nearly attempting to cover the entire regulations). For this I use the U.S. Navigation Rules of 1999 and the Canadian regulations (1978, amendments to 1996), which differ but little. And again, please don't take my word for it - procure and examine the regulations yourself. My comments are often tiny summaries of quite lengthy, detailed rules. For a similar and very detailed take on the "Rules of the Road" see John McLendon's web site. In construing and complying with these Rules due regard shall be had to all dangers of navigation and collision and to any special circumstances, including the limitations of the vessels involved, which may make a departure from these Rules necessary to avoid immediate danger. In other words, keep thinking, stay out of trouble, use common sense, and don't think you'll be able to hide behind the rules if you do otherwise. Every vessel shall at all times maintain a proper look-out by sight and hearing as well as by all available means (emphasis mine) appropriate in the prevailing circumstances and conditions so as to make a full appraisal of the situation and of the risk of collision. "All available means" would include careful sight and sound at a minimum, as well as whatever other technological tools are available and necessary under the circumstances. Every vessel shall at all times proceed at a safe speed so that she can take proper and effective action to avoid collision and be stopped within a distance appropriate to the prevailing circumstances and conditions. The rules will do you little good, either in terms of safety or legality, if you use unsafe speeds. The rules go on to list six considerations for choosing a safe speed, including comments about visibility, traffic density, maneuverability, background night lighting, the "sea state," and the boat's draft. They further discuss the use of radar with respect to choosing a safe speed. Clearly, safe speed varies from place to place and from time to time, and applies as much to a stand-on boat as to a give-way one. Every vessel shall use all available means appropriate to the prevailing circumstances and conditions to determine if risk of collision exists. If there is any doubt such risk shall be deemed to exist. The rules go on to list five other considerations for determining risk of collision, which I encourage you to read, but which I condense in concept (but not detail) to this: all vessels must constantly and conservatively assess the risk of collision by all means available and necessary. Any action taken to avoid collision shall, if the circumstances of the case admit, be positive, made in ample time and with due regard to the observance of good seamanship. A vessel the passage of which is not to be impeded remains fully obliged to comply with the rules of this Part when the two vessels are approaching one another so as to involve risk of collision. All this seems to mean, to me, is that when taking action to avoid collision all boats still have to follow the rules - I would have thought this self-evident, but in case it's not, the rules state it clearly here. The rules go into more detail than this. Reading this important section, the concepts of stand-on and give-way do not appear. Where one of two vessels is to keep out of the way the other shall keep her course and speed. They're talking about the stand-on vessel here. For its privilege, it actively has to do something: "keep her course and speed." Furthermore, other rules follow which state that if, however, the give-way vessel does not take action to avoid collision, or takes insufficient action, then the stand-on vessel may do so, and if necessary to avoid collision must do so. Such action by the stand-on vessel should not include altering course to port, unless unavoidable. Note the restrictions specifically placed on the stand-on vessel, which make it difficult to think in "right of way" terms. I am not going to discuss the long sections of the regulations dealing with "Lights and Shapes," or "Sound Signals" (although I have reviewed the basics of sound signals elsewhere). But a careful read of those sections will reveal many requirements which pertain to all boats and some which apply specifically to a stand-on boat. The regulations also contain sections covering narrow channels (Rule 9), traffic separation schemes (Rule 10), specific rules for sailing vessels (Rule 12), vessels crossing rivers (in some areas - Rule 15), and many others (so again, read the actual rules). I do not intend to re-iterate the very important rules, taught in beginner boating courses, about overtaking (Rule 13), meeting (Rule 14, in which neither vessel is "stand-on"), or crossing (Rule 15). These rules do specify which vessel possesses stand-on status and which does not. A critical point, however, is that they are contained within a larger section entitled "Conduct of Vessels in Sight of One Another," so don't apply for vessels not within sight. Also, they do not supersede other rules (specifically Rule 18, above) except where explicity stated. If it is quite clear that two vessels are in no risk of collision and are going to pass free and clear, then a collision situation does not exist, and none of the procedures for collision avoidance are necessary - and in fact might confuse the situation, and actually cause danger. I do, therefore, believe firmly in "maintaining course and speed," without unnecessary changes (if possible and practical), when other vessels in the area might need to know your intentions. We will all boat more safely and courteously if we think more about how we should behave individually, focussing more on our own obligations rather than wishing that other boaters would respect our non-existent rights.